The vicious headlining attack on the Yarra City Council in Melbourne, through the pages of Murdoch’s Herald Sun, cannot be justified in any way and one cannot escape the conclusion that there is a sinister purpose behind it. This is that it is part of the Murdoch empire’s campaign to impose its own version of political correctness, in the guise of countering political correctness. But this attack sees the campaign lifted to a new level. Led by scribes like Andrew Bolt, Rita Panahi, there is a pretend campaign against rorts. Pretend is the word, because if was genuine, those involving in lining their own pockets, whether in public office or in private enterprise would be the target. This is not happening. Instead, the target is those considered political enemies and these so-called purveyors of the truth, have no qualms over about deliberate distortion of the facts and peddling outright lies. For instance, the Yarra council has been pilloried for including bicycles in its fleet. Imagine that! Perhaps our crusaders for decency would prefers that the council should have purchased a fleet of Mercedes than use a cheaper and environmentally friendly alternative? This would bring them in line with the federal and state government, as well as directors and senior executives of major companies, including News Corp, the owners of the Herald Sun. True, the council also has a fleet of cars and other vehicles. Here too it is important to note that vehicles are necessary to carry out the council’s functions and whether the size of the fleet is excessive or not depends on how this matches up with the need. But why let this inconvenient fact get in the way of a good mud slinging story? Our scribes can paint a much darker picture by simply ignoring it. One cannot help but observe that the lynch mob at the Herald Sun express a view that some should be treated less equally than others. There is the claim that those working for the council are paid too much and that executive salaries are over the top. There may be some argument here, but how do executive salaries at Yarra compare to the equivalent at the Herald Sun? While at it, how much are the likes of Andrew Bolt and Rita Panahi paid? They also go on about the disgrace of providing more jobs, when some other councils have gone the other way. 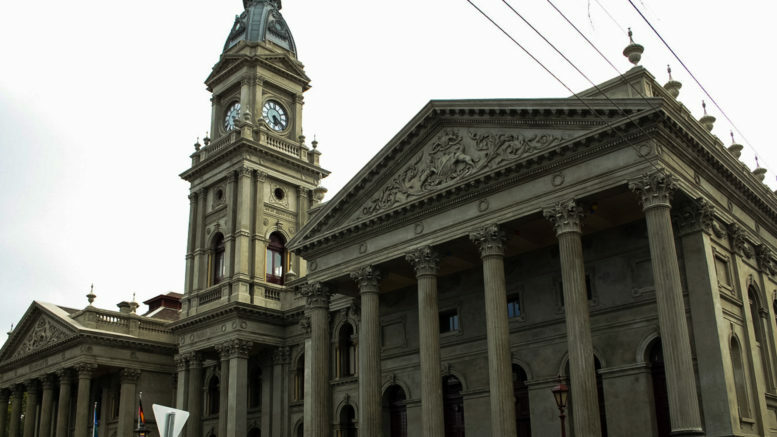 One thing that is not mentioned is that the Yarra Council has a reputation for being a particularly active council and does a lot more to consult with residents than is normal practice. It puts in that little bit extra to build a community. This is one reason that it maintains the three town halls that have come by though past amalgamations. They provide meeting space in a municipality where it is in short supply and the demand high. Many local community groups and activities depend on the spaces provided by the council. These spaces contribute to building connections between diverse groups. Preservation of the buildings maintains an an important apart of local history. Expenditure comparisons are made with a couple of other councils, completely disregarding that such comparisons are not fair, because different municipalities have different needs and therefore their expenditure cannot be compared in such a simple manner. The attack of the Yarra City Council is inextricably linked to a decision made to not observe Australia Day on 26 January, because this date is offensive to the original Australians who view it as the marking of their dispossession from the land. If we are a caring society, surely, we should refrain from activity that is offensive to a section of our community. This does not make one un-Australian. On the contrary. It shows genuine appreciation in being part of our diverse community. Supporting moving observance of Australia Day to another date is not divisive, but unifying, unlike the Turnbull government’s decision to deny Yarra City carrying out citizenship ceremonies. But this is a government keen to find a diversion or two from its own troubles. Here is the crux of the matter. Rupert Murdoch is keen to give support to his political tools and he rewards certain people very well to peddle his wishes. Not that this reflects respect and support for Malcolm Turnbull. It does not, because the Murdoch agenda is more in line with Donald Trump, with its divisiveness and politics of hate. But for the present at least, this agenda is seen to be best pushed through the ranks of the Coalition. The icing on the cake is a dodgy Herald Sun poll of 100 residents. Firstly, it is far too small a sample to draw a reliable conclusion. But our crusaders against fake news (or is it alternative facts), don’t care. The question asked was: “Do you agree with Yarra Council’s decision to scrap Australia Day”. This is blatantly dishonest, because no such decision was made. The question is biased and the sample is far from random. This breaks every rule of polling. Despite this, it is peddled as proof that the residents are on their side by a 60 to 40 margin. The point is, the local community is not on the Herald Sun’s side. This unity was reflected in councilors agreement on the vote on Australia Day issue and this includes those connected to the Liberal Party. A likely outcome of all this will be that the standing of the Yarra Council will rise, instead of fall. After all, there are worse fates that to be attacked by the Murdoch stable. After all if these people attack you, it suggests you must be doing something right. Be the first to comment on "Herald Sun slings mud at Yarra City Council"